Arsenal striker Olivier Giroud said he was "delighted" to receive the Puskas award at the Best FIFA Football Awards on Monday. 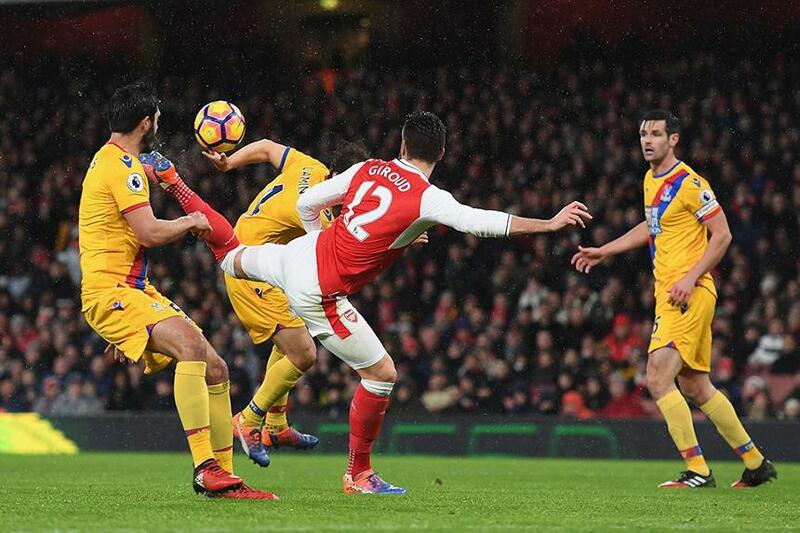 The Frenchman was voted the winner of the accolade, awarded for the best goal of 2017, for his extraordinary scorpion kick against Crystal Palace in January. Giroud's strike beat competition from Venezuela Under-17 women's striker Deyna Castellanos and South African goalkeeper Oscarine Masuluke. "I'm delighted to receive this trophy today in front of legends of football,” said Giroud. “Now l'd just like to thank the people who voted for me. I would like to congratulate the 10 nominees who scored amazing goals too." The award was decided by a jury of club and international coaches, media representatives and fans.